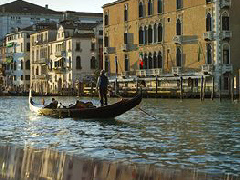 The Gritti Palace is undoubtedly one of the most famous hotels in the world. Overlooking the city’s grand canal, the building was commissioned in 1525 as the residence of the Doge of Venice, Andrea Gritti, and later as the official residence of the Vatican’s Ambassadors. It is no surprise that such a well-known hotel continues to attract the glitterati, much as it has done for several decades – Ernest Hemingway once described it as the “best hotel in a city of great hotels”. Indeed, it continues a grand tradition in being one of Venice’s choice destinations for British nobility and political leaders, with Winston Churchill and numerous members of the royal family having stayed over the past century.